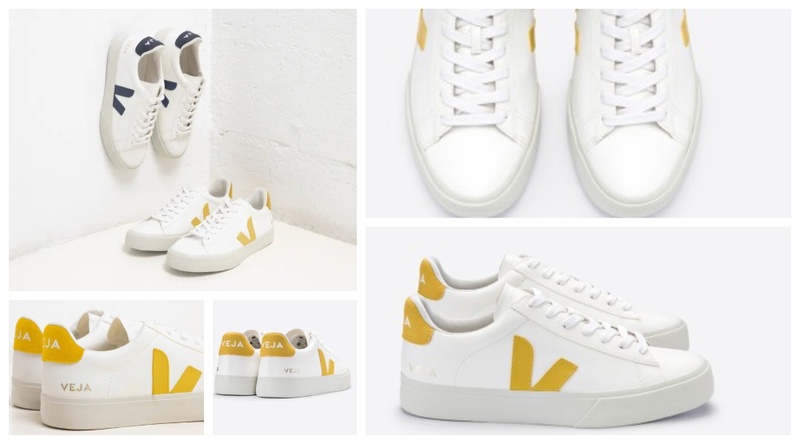 Parisian shoe brand Veja is launching a new vegan and biodegradable version of its iconic sneakers - made from corn waste. The company, which was founded by Sébastien Kopp and François-Ghislain Morillion in 2004, spent five years developing its new Campo trainer which is said to look exactly like leather. Kopp and Ghislain Morillion were inspired to create the vegan shoe in response to the damage leather production does to the planet, and its role in the deforestation of Brazil. But they struggle initially to find an alternative they were happy with. Sébastien Kopp told Fast Company: "Replacing leather with plastic does not sound like a good solution to us." In its article about the new Campo sneaker Fast Company praised the footwear for looking ' exactly like leather but is actually made from cotton'. "The sneaker is made from canvas that has been waxed with a compound made from corn waste. The entire shoe is made from clean, bio-based materials, but it does look remarkably like leather," it added. "The point of this exercise was not just to create a cool, leatherlike shoe, but to prove that, with a little effort, it is possible for brands to stay on top of trends without contributing to the fashion industry’s pollution." The Campo sneakers are available now and retail for €150.00.